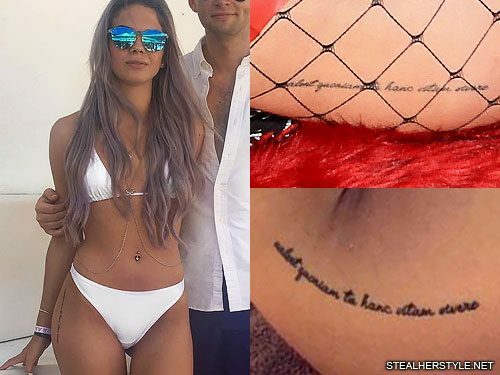 Louisa Johnson has the word “free” tattooed on the right side of her ribcage. 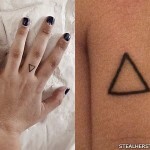 The underboob tattoo was first seen in bikini pictures from January 2018. 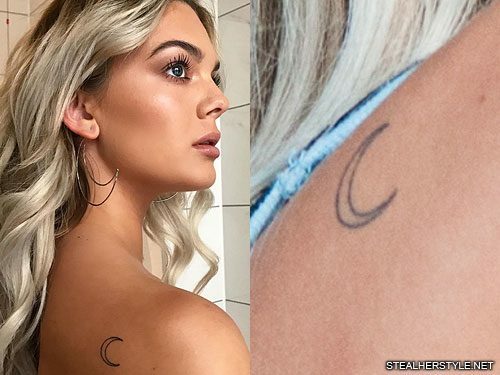 Louisa Johnson revealed this simple outline of a crescent moon on her right shoulderblade in a July 2017 instagram photo. 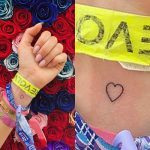 Louisa Johnson has a little symbol tattoo on her right forearm. 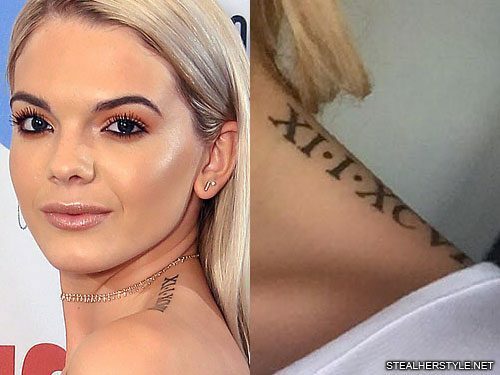 Louisa Johnson and her boyfriend Daniel Elliot have matching tattoos of their own birthdays in Roman Numerals. Louisa first revealed the tattoo on the top of her left shoulder in February 2016. The tattoo says “XI-I-XCVIII” for her own birthday January 11, 1998 (11-1-98). Daniel’s tattoo is on the left side of his chest and says “XXII-XI-XCV” for his birthday November 22, 1995 (22-11-95). 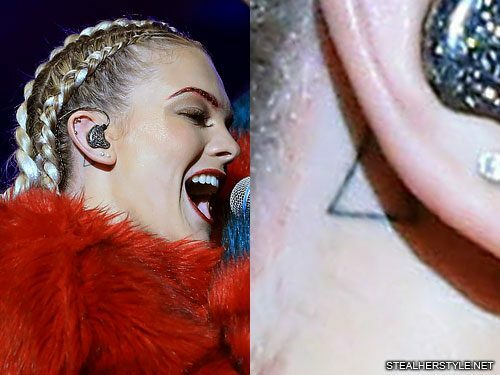 Louisa Johnson has a simple outline of a triangle tattooed behind her right ear. 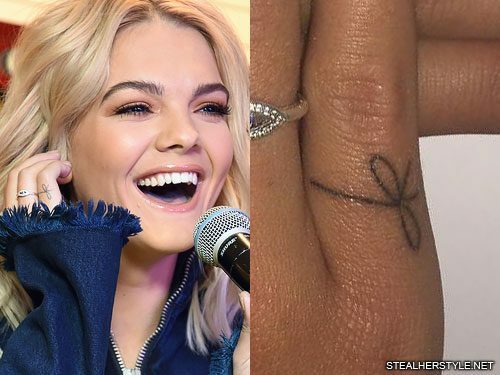 Louisa Johnson and her boyfriend Daniel Elliott got matching tattoos of a little ribbon bow on their pinkie fingers in June 2016. “Connects those who are destined to meet, regardless of time, place or circumstance. 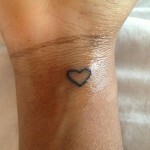 The thread may stretch, tangle but it will never break,” she wrote on her Instagram.